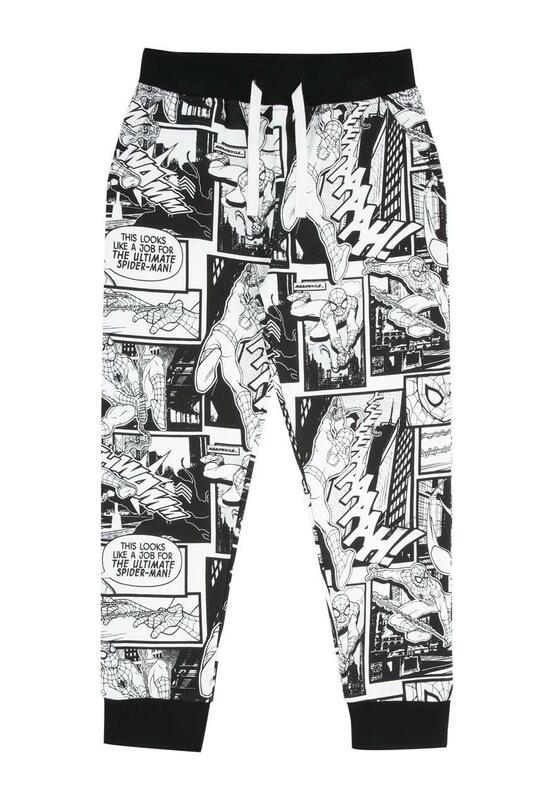 Mono Spiderman print joggers like these with black lining, cuffs and waistband is a fun yet stylish jogger for your little man this season. A matching mono Spiderman Hoody is available for the full effect! Lovely trousers. Great quality. Good sizing.